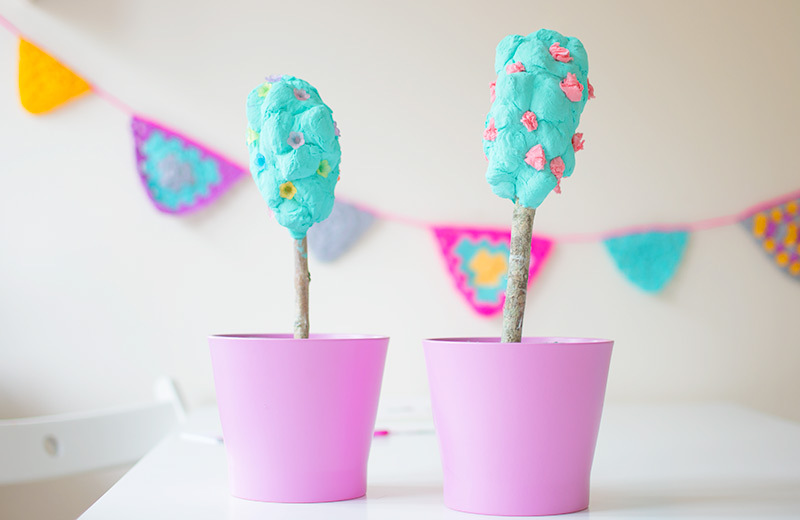 If you are looking for spring crafts then hopefully this cotton wool tree idea will be for you! We always have a huge pile of sticks outside of our house at this time of year and every time I walk past them I try to think of what to do with them. 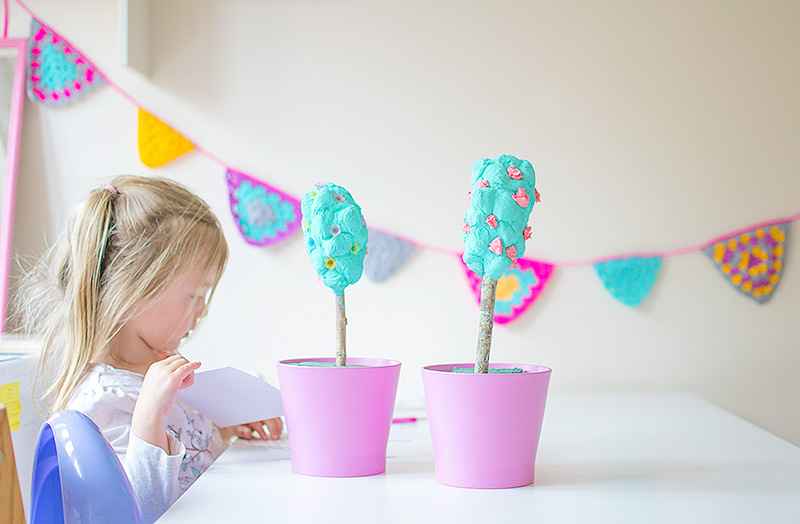 Last year we made flowers, flags and a doll’s bed with them and this week I decided to make some trees. 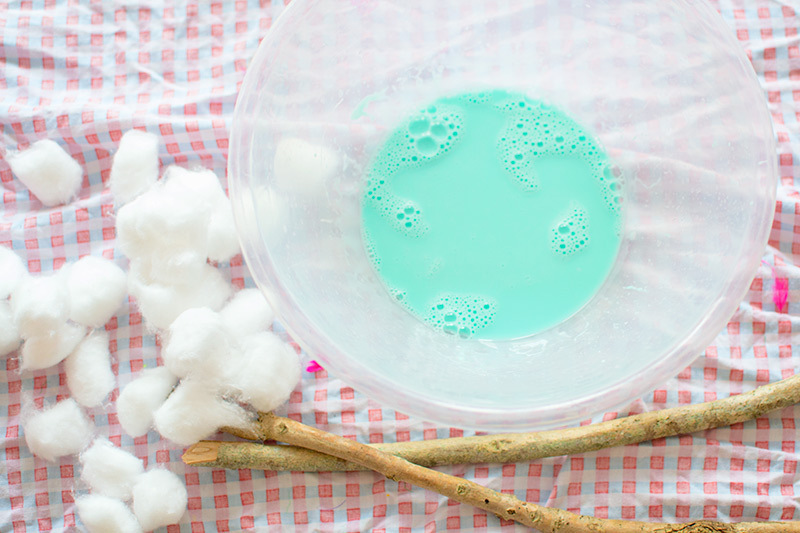 Start by pouring lots of the PVA glue into the bowl and adding a little bit of water, I also added some green paint but this wasn’t necessary in the end, you will see why in a minute. 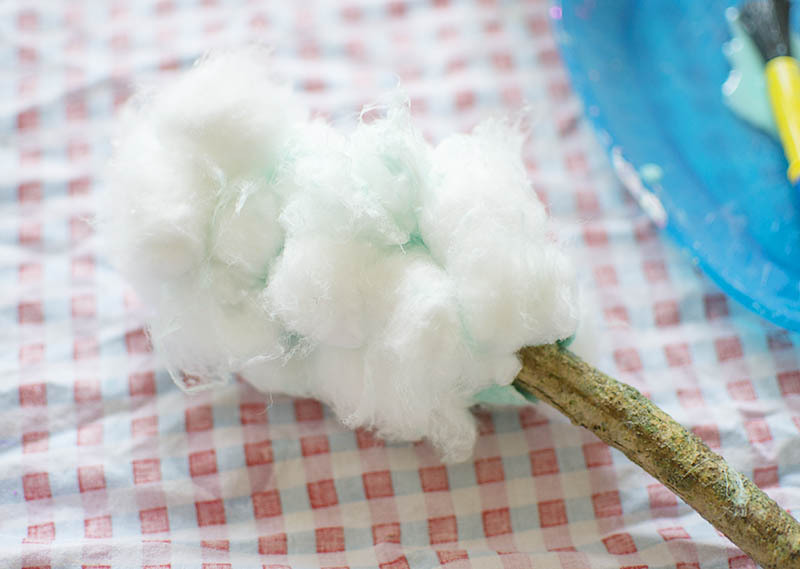 Dip some cotton wool balls in the glue mixture and squeeze out the excess before pressing them onto the stick. 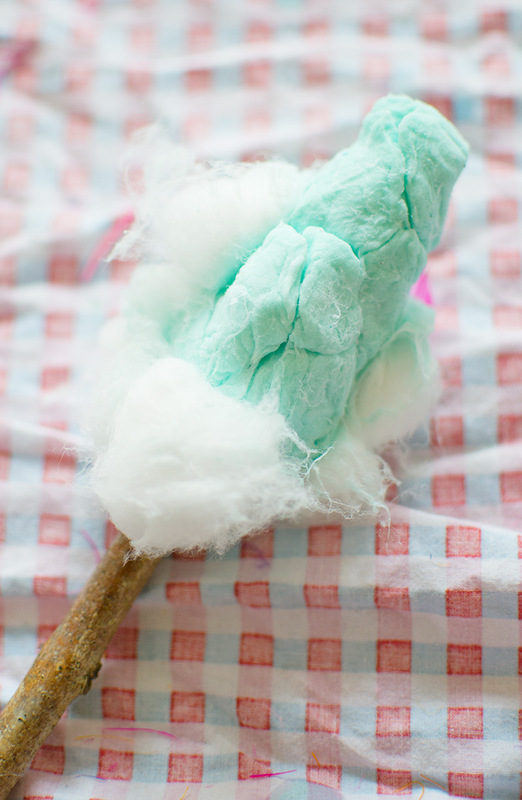 Then cover the wet cotton wool balls with dry ones. 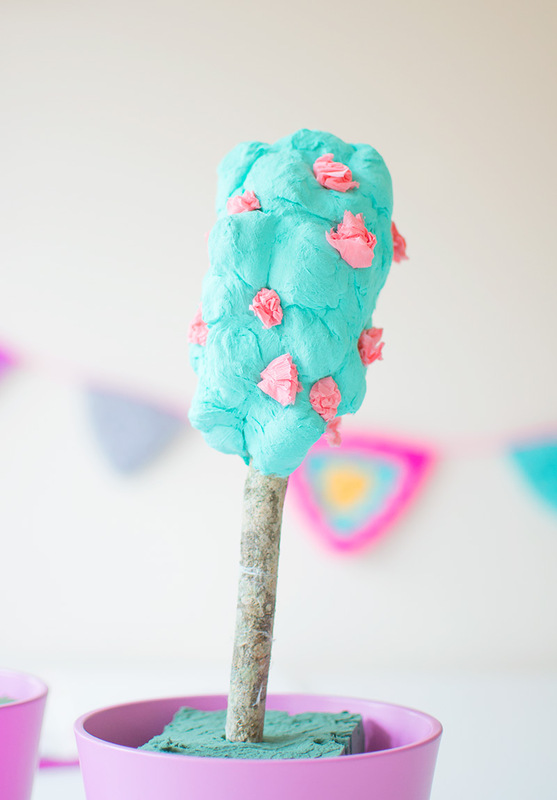 If you press them on then the watery glue mixture should soak into them enough to hold them in place. 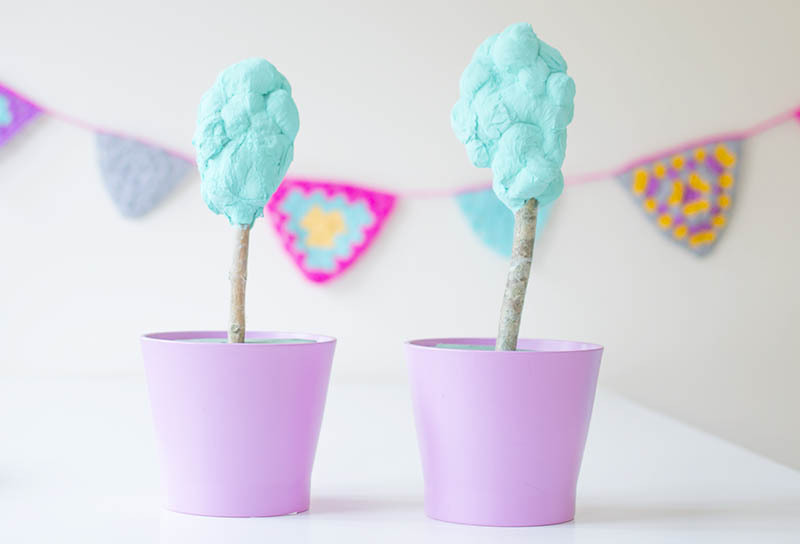 Keep going until you have your tree shape then leave somewhere warm to dry. We left ours in the airing cupboard over night but if it was a sunny day you could put them in them outside. Once they had dried we painted them green before leaving them to dry again. 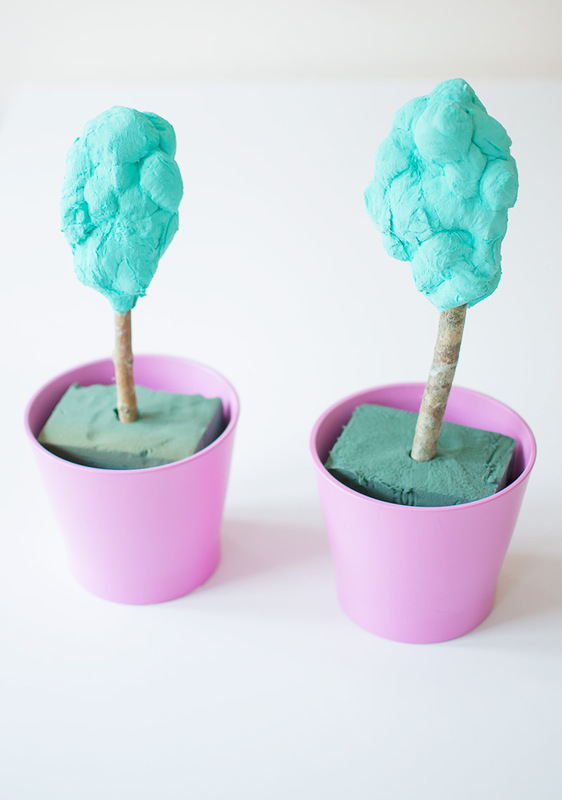 We put them in some plant pots using some florist’s foam to hold them in place. We’ve been talking about the seasons lots at the moment (in a ‘why on earth does it still feel like winter when it’s nearly june’ kind of way!) so we decided to add some blossom to our trees. Cherry glued some little flower beads on to hers and I scrunched up some tissue paper and stuck that on mine. 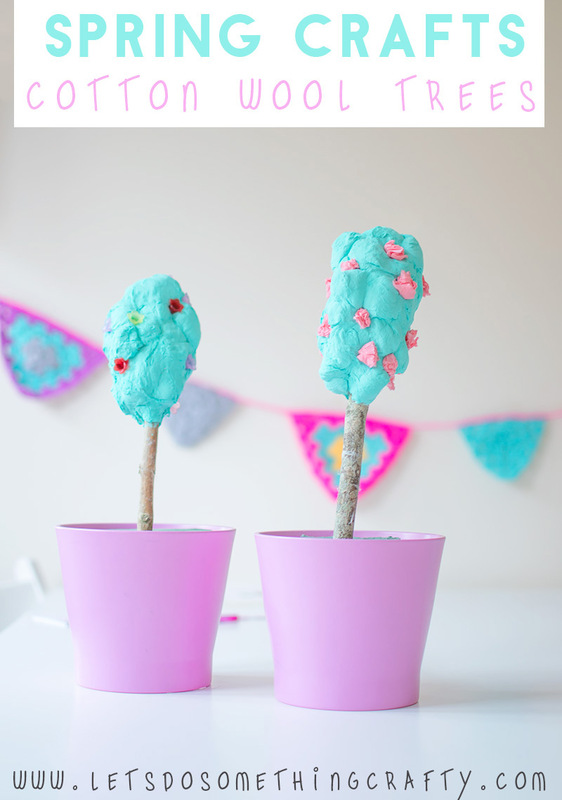 They were really fun to make and you could decorate them in different ways too adding some apples or even birds / butterflies!